If you think crockpots are only for the winter, think again. 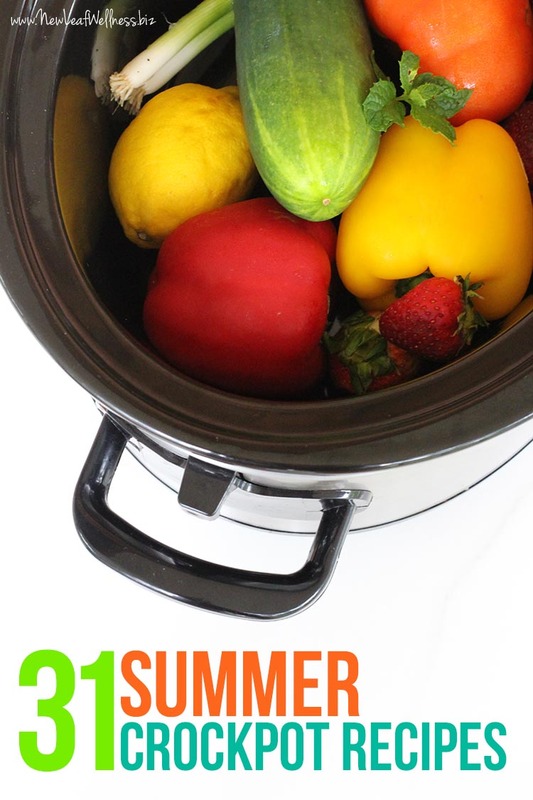 Here are 31 summer crockpot recipes inspired by BBQs, sunshine, and fresh summer produce. YUM. Crockpot soups and stews and great, but I also love to use my crockpot all summer long. It keeps my kitchen cool. I can come home to a finished meal (no need to heat up the grill). 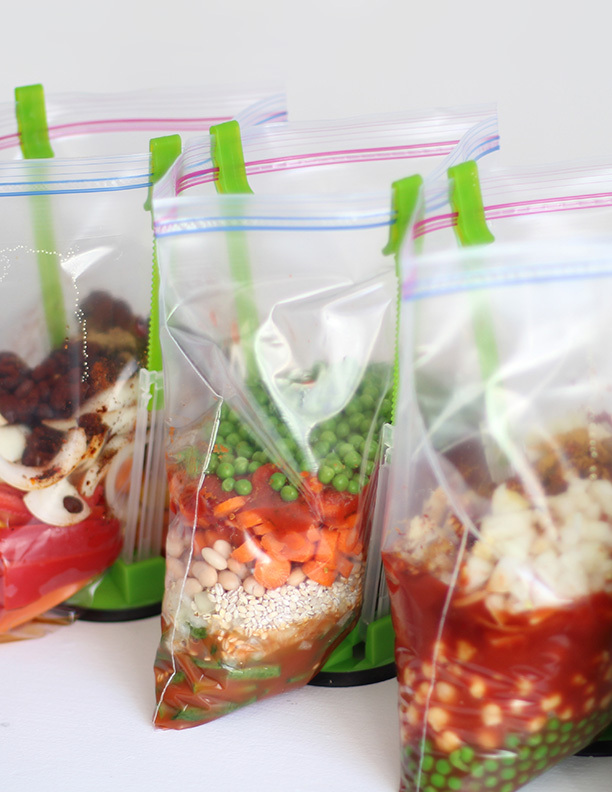 I can prep a bunch of meals at once and freeze them to save even more time and money. The only thing you need is crockpot recipes made with summer flavors and fresh seasonal ingredients. Here are 31 to try over the next month. I’ve personally tried all of them and they’re delicious!! 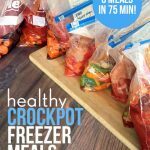 Yes, every single one is made in the crockpot! So easy. If you’re looking for more summer crockpot inspiration, the BBQ Baby Back Ribs, Shredded Buffalo Chicken, and Pulled Pork in my eBook Bundle are awesome too. As a single mom I love your crockpot recipes. 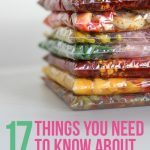 Do you have the recipes and grocery list for these? I would love to go shopping for them. Not currently. If there are enough requests I *might* make a grocery list, but it will probably take me at least 4 hours. Everything looks yummy! I would love to use my crock pot during the summer. I was just wondering what size Zip plastic bags you use. Are they the quart or gallon size? Usually gallon. The only time I use quart-sized bags is when I make a chicken recipe that only calls for one pound of chicken and not much else. Everything else needs a bigger bag. I buy the gallon-sized plastic freezer bags in bulk at Costco. 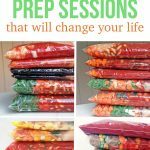 I love your meals and your prep blog posts! The grocery lists made everything so easy! Do you have one for these summer ones? No, it would take me a minimum of four hours to write it and I’m not sure if anyone would actually make all 31 of them at once? (Although I’ve gotten a couple of requests so maybe some people would?) Sorry about that, Alex. I picked 10 to make and made a shopping list-hopefully, I get all that I need. Thank you so much for sharing your recipes! The 7 kid friendly ones are on my next grocery trip! Awesome. I hope you love all of the recipes, Alyson.